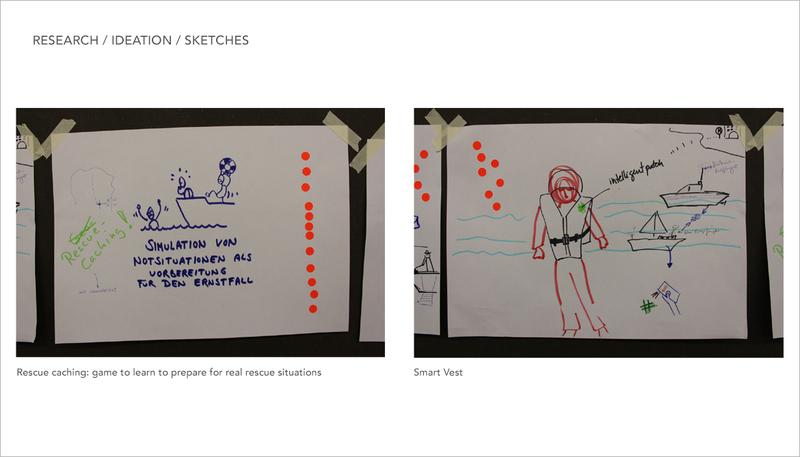 Our result solved a unique set of challenges volunteers faced in emergencies at sea with a non–contaminating, hands–free interface that provided them with instructional videos. We began our research with an ideation workshop together with Intuaid’s team; we gathered our first insights like the lack of personnel to teach volunteers. We continued with an emergency simulation at sea followed by a debrief at the rescue station at the northern coastal town of Schilksee. We got first hand acquaintence with the emergency environment, the restraints of time, unpredictability of nature and stress level of the volunteers. We also conducted expert interviews with doctors who volunteer at the rescue station and from them got first hand understanding about the triage system used in hospital’s emergency rooms, which assigns degrees of urgency to wounds or illnesses to decide the order of treatment of a large–scale emergency involving a number of patients or casualties. 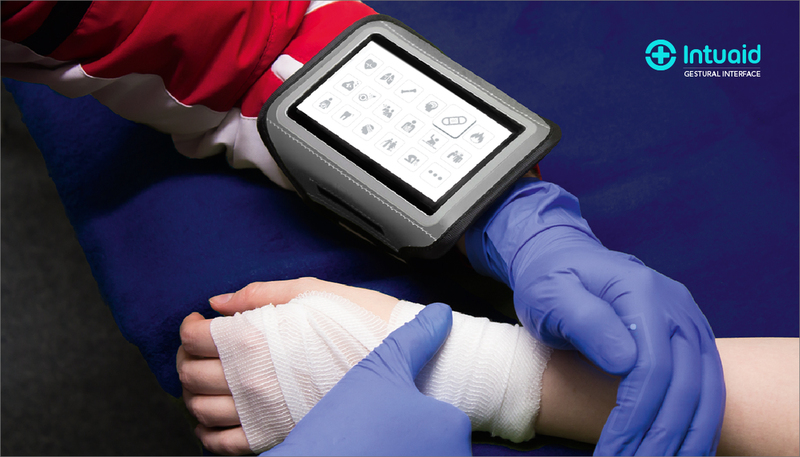 We took the importance of staunching a wound fast, to save the person’s life as a sample to support our solution. 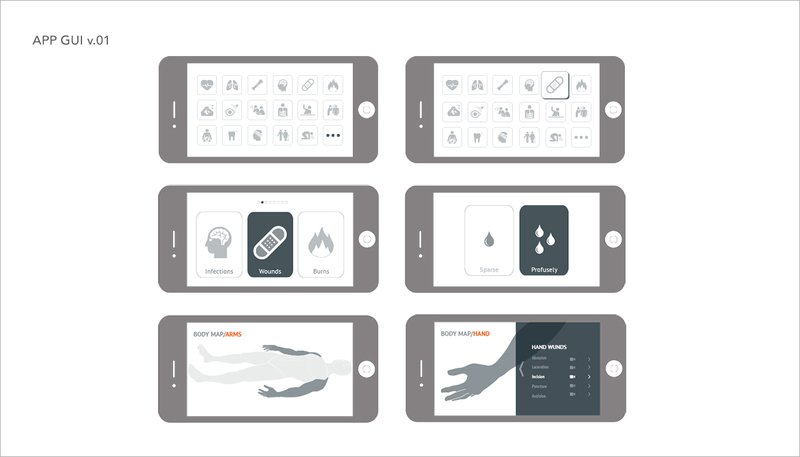 The Interface uses instructional videos with different levels of learning as a solution to the main challenge and gestures to prevent contamination of the patient. The controller consisted of two parts: a pad and a patch worn in one hand that should be used with gestures to control the videos. Gestures were executed with the thumb over the index finger. Different types of lighting and weather conditions were considered and tested when defining color, form and choosing typography. A video was created for the final product presentation. 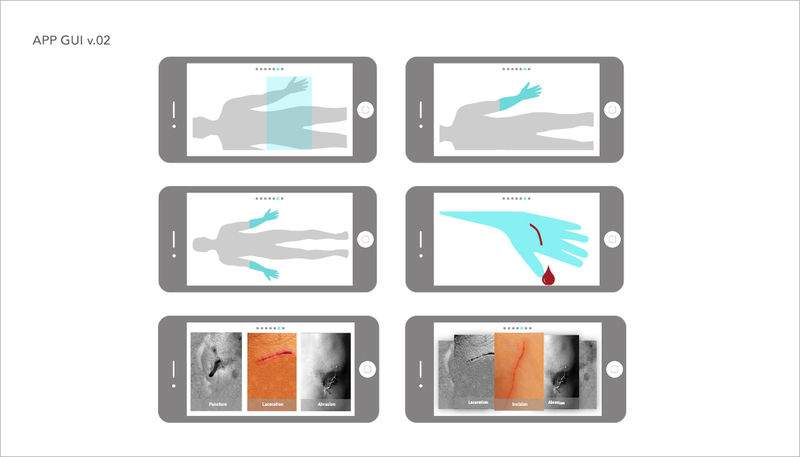 With the use of automated hotspots of interactive video tools like Wirewax we could foresee a suitable solution to coordinate and sync videos with gestures.